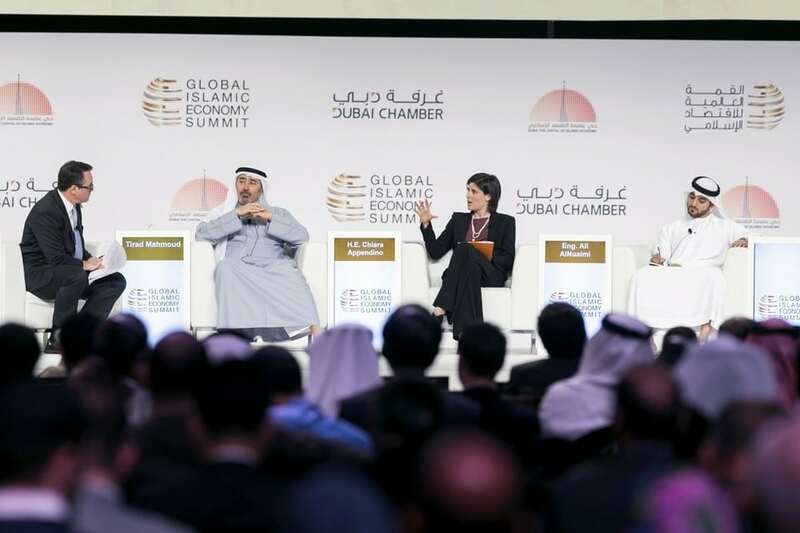 Dubai: Governments across the Arab region need to do more to address the needs of the youth in the region, said panellists participating in the opening plenary session of the Global Islamic Economy Summit 2016. Ahead of the session, titled ‘Today’s Youth, Tomorrow’s Leaders: Scalable Solutions to Empower the Next Generation’ an instant poll conducted at the venue found that half of the delegates believe governments must do more to address the needs of youth in the region. On a question “Are you optimistic that the governments in the region are appropriately addressing the needs of their Youth” 50 per cent of delegates present said they were not, 42 per cent said they were, with 8 per cent undecided. Commenting on the poll results Tirad Mahmoud, CEO, Abu Dhabi Islamic Bank, said the results could have been much more pessimistic if the question was open to a wider audience from across the Arab world. The Muslim world is experiencing rapid youth population growth. The global Muslim population is approximately 1.7 billion with the youth segment growing at twice the rate of the global population growth. Amid high unemployment among the youth many governments in the region find the growing youth population as a challenge while a few see it as an opportunity. The UAE is one of the regional governments that has charted its course to harness the youth opportunity. “The leadership of the UAE, instead of asking policymakers what they should do about youth, was actively asking youth themselves what they think about their future,” said Ali Al Nuaimi, Senior Nuclear Professional and Member of the UAE Emirates Youth Council. “The youth are capable … they are the most adaptable. They can accommodate changes and can adopt new technologies, he said. “Some governments are lagging behind in this. But here we believe in our youth, we trust our youth … and that’s why we invest in them,” he said. Commenting on challenges in addressing the aspirations of youth, the third panellist, Chiara Appendino, the Mayor of Turin, and one of the youngest senior politicians in Italy, explained how her city was dealing with two key youth challenges familiar to the region: education and employment. “Education to me means high quality education that aims to develop skills and work for the community,” she said. Panellists agreed that gone are the days the UAE youth are waiting for public sector opportunities. “We instituted a policy where we would not hire from other banks for junior position, infested we would recruit, 100 per cent, from schools and colleges. Contrary to the popular notion, these youth are very hard working and we have been able to create a huge talent pool within the bank,” said Mahmoud. While funding remains a key challenge for start-ups, ADIB’s Mahmoud said a combination of government funding supported by private sector funding channels such as angel funds and private equity should step in to fill in this gap.